Selecting the best window coverings can be a challenging task. There are so many styles and designs to choose from, not to mention the wide range of functionality options and operating systems. Here at Treasure Coast Window Fashions, we keep up with the latest styles and trends in window coverings so you don’t have to! 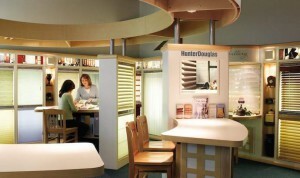 We offer the latest styles from Hunter Douglas, and expertise to help you make the selection that’s right for you. Here in Florida, we all want to maximize use air conditioning in the long summer season. Hunter Douglas features many styles of window treatments that allow you to save money on energy while not sacrificing style. Our stylish Vignette shades, including classic roman shades, as well as Duette honeycomb shades, provide energy efficiency and beauty that works with any décor. New window coverings can give a room new life. The design, color, and texture of your window treatments should complement the rest of your décor while offering versatility as well. Choose designs, colors, and styles that can work as you change other elements of your room design. Explore mix and match options, including using custom drapery and other soft treatments to enhance the look of your hard window treatments. Be careful not to get so wrapped up in style that you lose sight of how you need your window treatments to function. Carefully consider issues such as light and privacy control when selecting your window fashions. And when it comes to functionality, consider motorization for convenience and style. Motorization is the perfect solution for hard-to-reach window treatments, such as those in skylights, up in vaulted ceilings, or behind bath tubs. Our options for motorization include hard-wired and battery operated for your added convenience. Safety is a priority at Treasure Coast Window Fashions, and we always help customers match their window coverings selection to the dynamics of your family. If you have small children or pets in your home, select a window covering that utilizes cordless operation. Many blinds and shades can be customized for maximum safety without sacrificing style.